This year VISIONS is celebrating it’s 22nd year of The Women’s Expo at Dallas Market Hall September 24-25. (Ladies) Imagine an entire exhibitor hall filled with stuff geared towards Women! It’s like having “Ladies Night” that lasts all day! VISIONS is on Saturday, Sept 24th and Sunday Sept 25th. This year they have added mini Studio sessions that are specifically suited to the interests of women. As usual you can catch live fashion shows sponsored by Dillard’s and other presenters at The Geico Main Stage. Regular tickets are $10 each and Free for kids under 10, but if you want to take advantage of a 2-for-1 deal on tickets click here! For $20 you can purchase a Premium Ticket which includes the Brag Bag that is filled with samples from Philosophy, Aloette, Lush and Mineralogie. At the beginning of each VISIONS session, Macy’s will have their Style Show which showcases fall trends and the best fashion. The VISIONS: Women’s Expo will also be providing full makeovers for two ladies in the final segments called “Frumpy to Fabulous”! 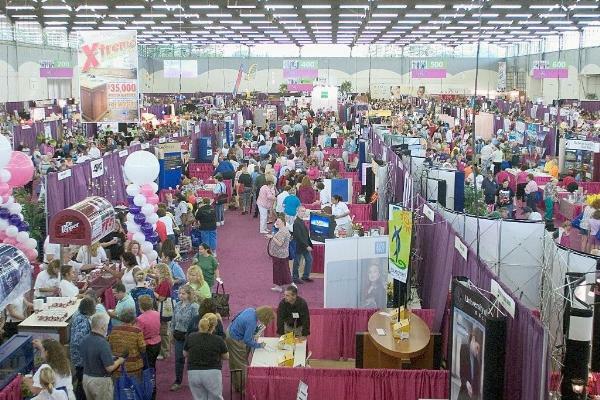 This year’s Women’s Expo is bound to be a win! Gather the girls and head over to Dallas Market Hall to meet your new B.F.F. – Beauty Fashion & Fun!